Home / News / Menstrual Cycles – What Is Normal? Your menstrual cycle can be an indicator of your health status. Experiencing this natural process can be different for each woman. This makes it harder to know when something is normal and when it isn’t. What do you need to know about your menstrual cycle? What Is Normal During My Period? The menstrual cycle usually begins every 21 to 35 days and usually lasts two to seven days. Young women may experience longer cycles during their first few years of menstruation. Cycles tend to grow shorter with age. Some women may have a very regular cycle that begins and ends at the same time. Others may notice some variation along with light or heavy flow that may be painful or painless. This all falls into the realm of what is normal. What Isn’t Normal During My Period? 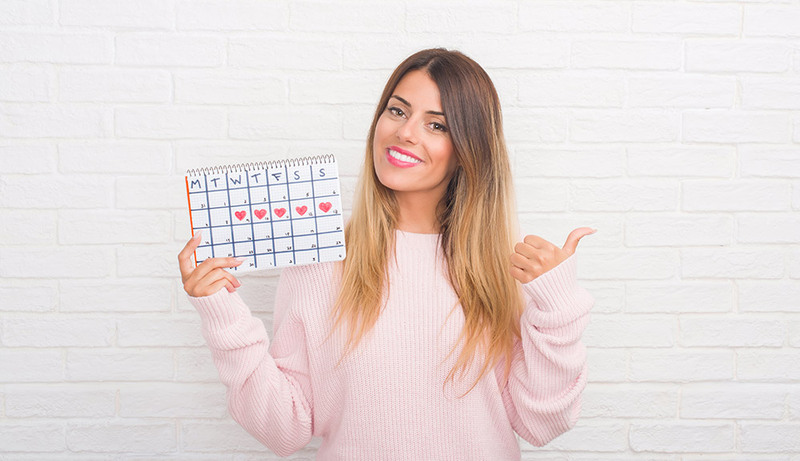 If you notice that your menstrual cycle doesn’t happen during the timeframe described above, you may have irregular periods. This occurs if the number of days between starting and stopping the cycle varies each month. The most common cause of this condition is known as anovulation. What Should I Do If I Have An Irregular Menstrual Cycle? Seek medical advice if you notice changes in your period or if you experience irregular menstrual cycles. A gynecologist can perform an examination and figure out the cause and best way to treat it. Contact Women’s Health today to schedule an appointment.